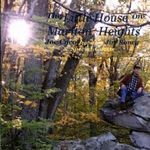 Coco, Joseph and Roney, Jim, "The Little House on Mariton Heights" (2015). All Books and Media by Montclair State University Authors. 31.